For those looking for flute etudes in free pdfs, and for information on how to work on them to increase your excellence, please do read on. An étude (a French word meaning study), is an instrumental musical composition, most commonly of considerable difficulty, usually designed to provide practice material for perfecting a particular technical skill. 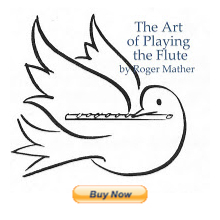 Here is a youtube video that is a terrific demonstration of a professional flutist performing an etude at a very high musical level. List of commonly used etude books (graded using Canadian Conservatory of Music flute grades). comparing Canadian Conservatory flute grading methods. free pdf studies various composers: Book Flute Studies and Book 1. Gariboldi 20 Studies opus 132: Free pdfs of ten of op. 132 studies here. One fun Etude - "Arpeggio - Moto Perpetuo"
Free pdfs of Etudes by Kohler, Berbiguier and Gariboldi at Flutetunes. Best high register Study book to buy: Filas Top Register Studies. And here is an article of mine on how to work on a flute etude. All the best and happy excellent etudes tiny dudes! Thanks for such an informative post! I studied flute in university, but opted for a career with a bit more stability after graduation. Posts like this really help me make the most of my "new" practicing attitude. As a graduate student pending graduation in May, money is a bit tight and I was thrilled to death to read this article. Great source of info (everyone loves free!). I can't wait to add these to my pedagogical library. Thanks! Great links to know of.